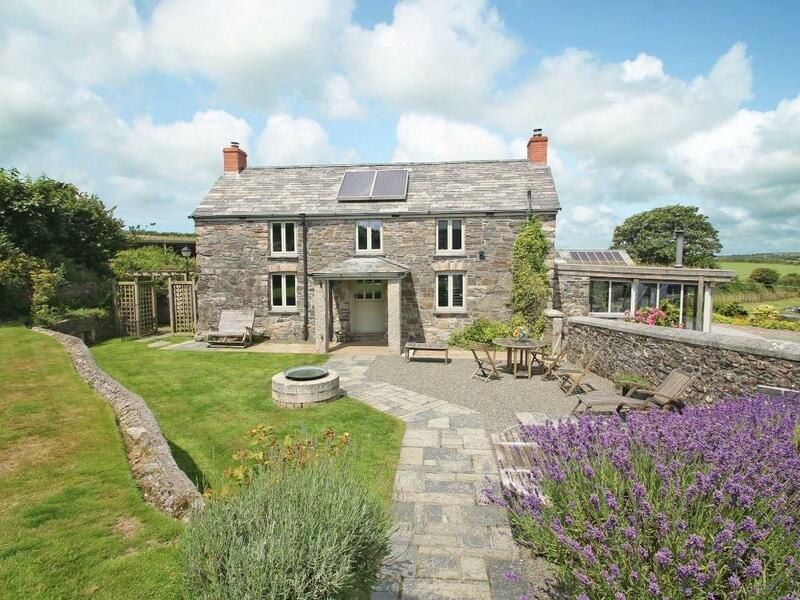 Mordros is an attractive two storey house with four bedrooms sleeping seven. 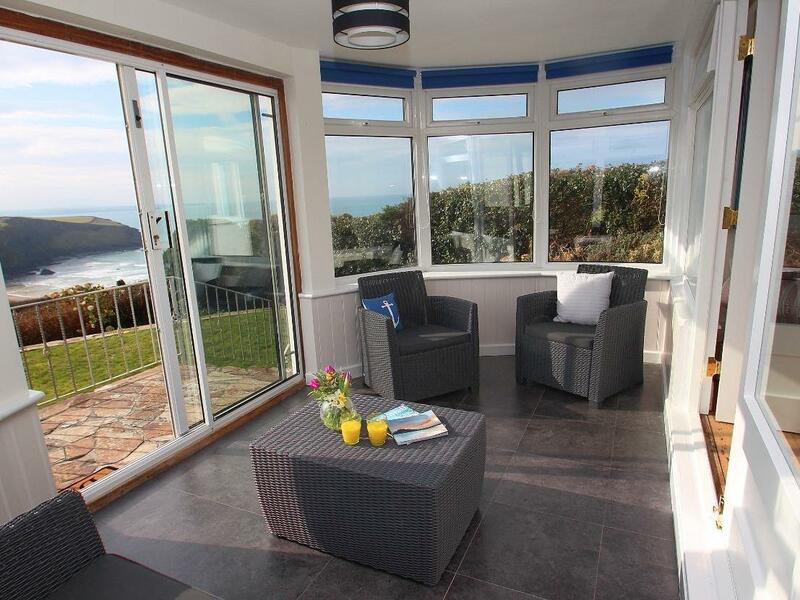 Ideally located overlooking Carbis Bay the property benefits from stunning panoramic sea and bay views. 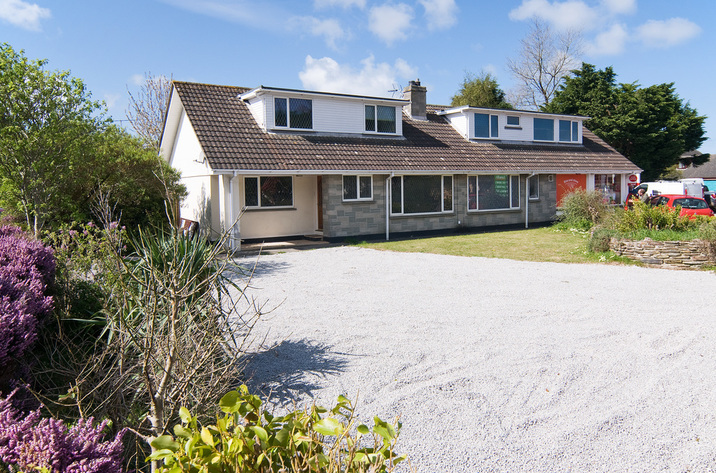 Internally, the living area and fully fitted kitchen are on the upper floor of the property. Two bedrooms as well as a shower room are located on a mezzanine floor with two bedrooms and a bathroom found on the lower floor. The property has full gas central heating. 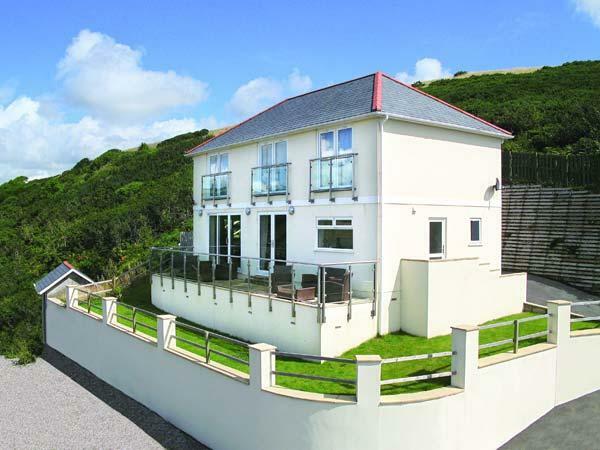 Mordros is modern and light with far reaching views from three of the bedrooms, and the large living room. 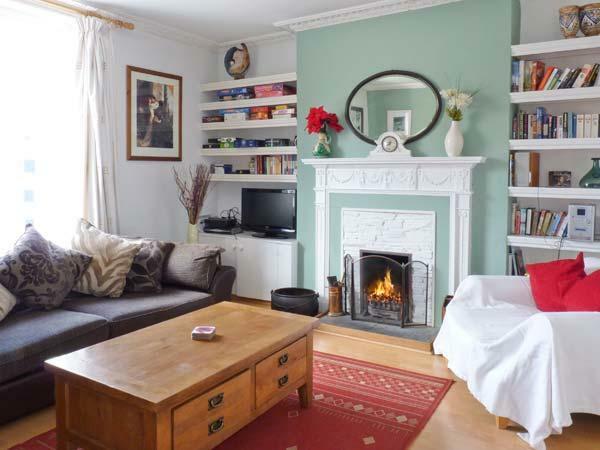 The kitchen is well furnished and the living area offers access to a balcony through French doors. 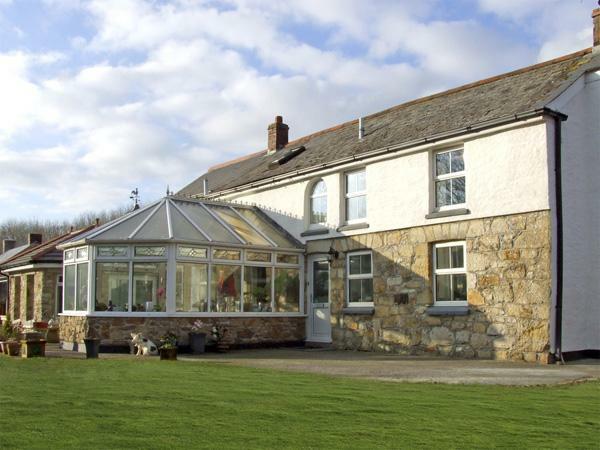 Externally, there is a split level garden, with sloping lawns and a sheltered private patio. A short path leads into the chine and down to the golden sands of Carbis Bay. Carbis Bay has been awarded the Blue Flag accolade for its cleanliness and voted third best beach in Britain. 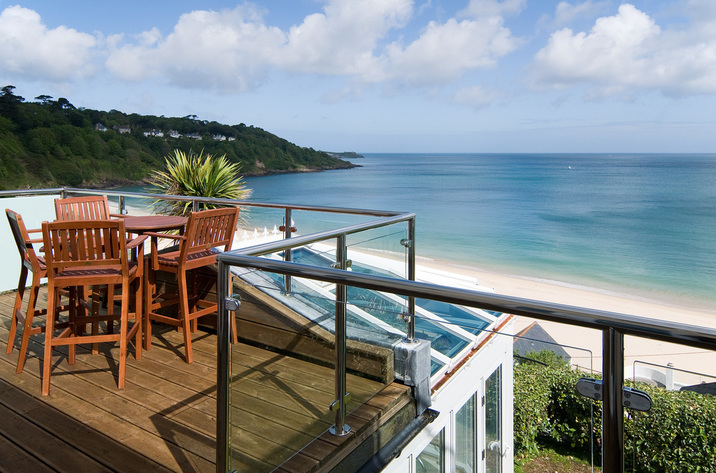 The Carbis Bay Beach is a large stretch of golden sand with a stream running down to the sea in the centre. It has a beach shop, with a small cafe, and a separate outside furnished deck area right on to the edge of the beach, for refreshment and dining. On a low spring tide it is possible to walk round the headland on to Hayle Beach but this is only once or twice a month. The path from Mordros although pedestrian goes through the small beach car park at the bottom then straight on to the beach. The distance to Mordros is so short that changing on the beach is not necessary and the beach is perfect for paddling and swimming, with RNLI lifeguards during the summer season. 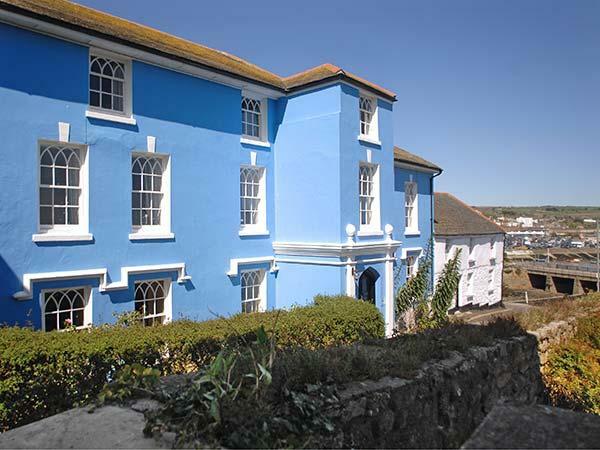 St Ives is a beautiful town with award winning golden sands and clear sea, cobbled streets filled with fisherman's cottages, galleries including the prestigious St Ives Tate and craft shops alongside modern restaurants and cafes. The bustling harbour is home to many fishing boats that bring in quality catches of local fish that you will find in many of the restaurants. 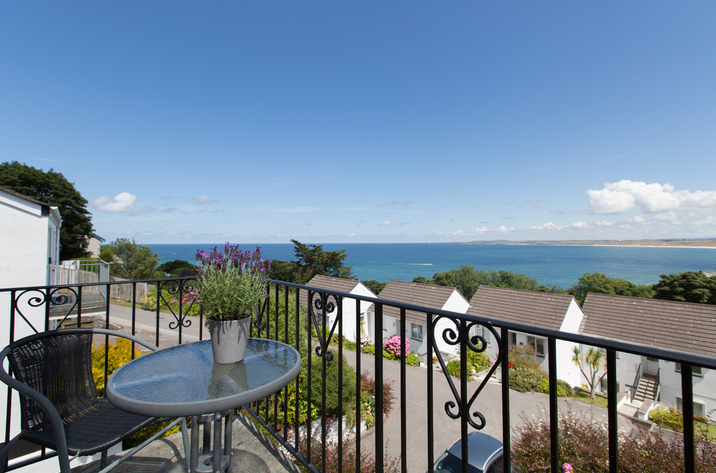 Mordros is a short walk from Carbis Bay National Rail Station on the scenic line from St Ives to St Erth where there are direct services to and from all parts of the UK. Hmm.. we don't appear to have any user-submitted reviews for Mordros. If you have stayed here, you can submit your own review.